We know the job doesn't make exceptions to keep your vehicle looking pretty. 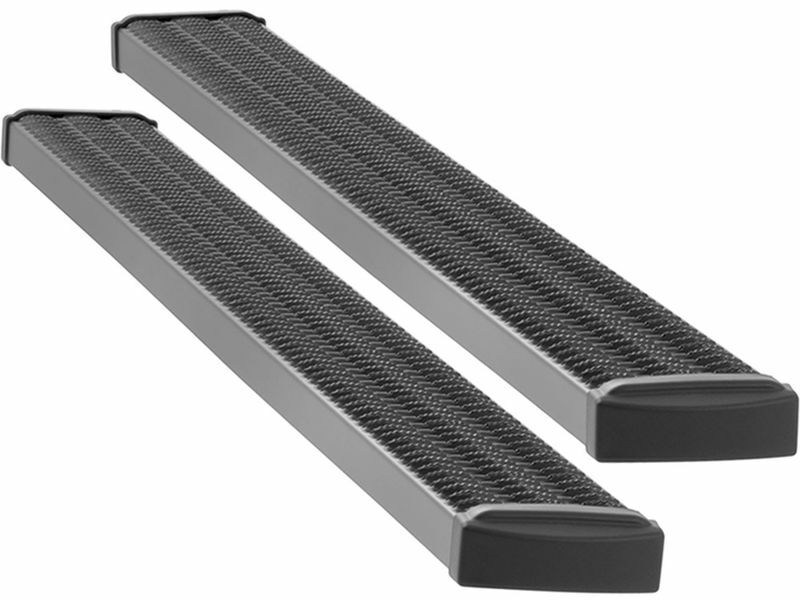 That is why Wheeel to Wheel Grip Steps are made from 5052-H32 aluminum alloy and shielded in a tough powder coat finish. No matter which season of the year you find yourself working in, the superior traction of Grip Steps expanded metal tread locks onto the bottom of your boots and provides safe entry and exit from your vehicle. Because they boast an impressive 7" width, the steps are as comfortable as they are skid-resistant.